The easiest way to spot the constellation Leo in the sky is to look for the Sickle, shaped like a backwards question mark. Regulus is the dot of the question mark. It is a bluish star, and it can be seen all around the globe. It is the 22nd brightest star, although the 21st, Alpha Centauri, is not much brighter than it is. Regulus is not a binary star for once, although there is a binary nearby, and possibly a white dwarf. Leo and Regulus, picture from Nasa. The name of this star is a diminutive form of the Latin Rex. Copernicus called it the Little King, after the Greek Basiliokos. It was the most important of the Four Royal Stars of the Persians, which marked the seasons. When Aldebaran was the star of the spring equinox, Regulus would have been the summer solstice star. Later, as the stars of Aries took the spring equinox position, Aldebaran moved to the cross-quarter day of May 1, and Regulus took over August 1. (The Persians called it first Venant and then Miyan (“the center”). The Diamond of Virgo. Cor Caroli is another name for Regulus. The other name for Regulus is Cor Leonis, the Lion’s Heart. This name was used by the Greeks, Romans and Arabs. (In Arabic, Qalb al-Asad, anglicized to Kabelaced.) 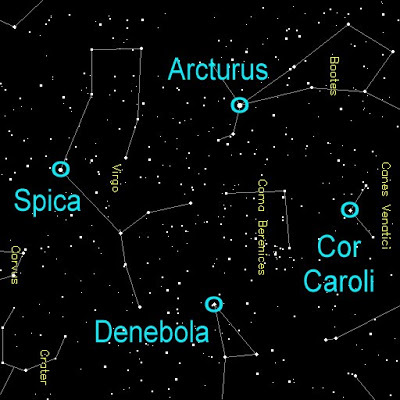 This star is part of the Diamond of Virgo, along with Denebola (in Leo’s tail), Arcturus in Boötes and Spica in Virgo. The Egyptians considered Leo the House of the Sun, as when they first charted the stars, Leo was rising with the sun at the solstice, so Leo and Sirius were associated with the heat of summer. 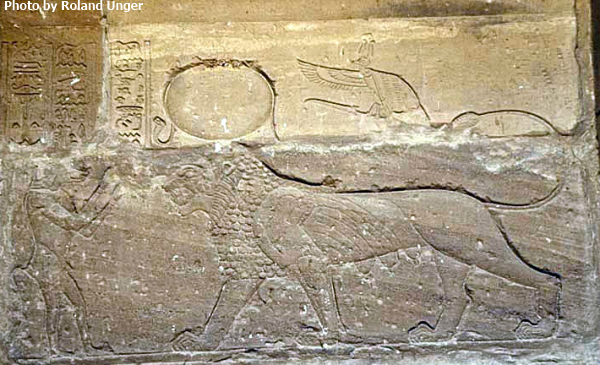 Fierce lion-headed deities, like Sekhmet whose breath formed the desert, and Tefnut who fled to the desert of Nubia in her rage, and the war-god Maahes, were associated both with scorching heat and protection of the pharaoh. Regulus, in a horoscope or predictive chart, signifies good fortune, pride, royalty, and success. Some Renaissance astrologers called it the Royal Star. If you like the image at the top, click here. This entry was posted in Astronomy, Stars and tagged constellation, royal star, Uranus on April 5, 2015 by solsdottir.